Eager to start but unsure how? 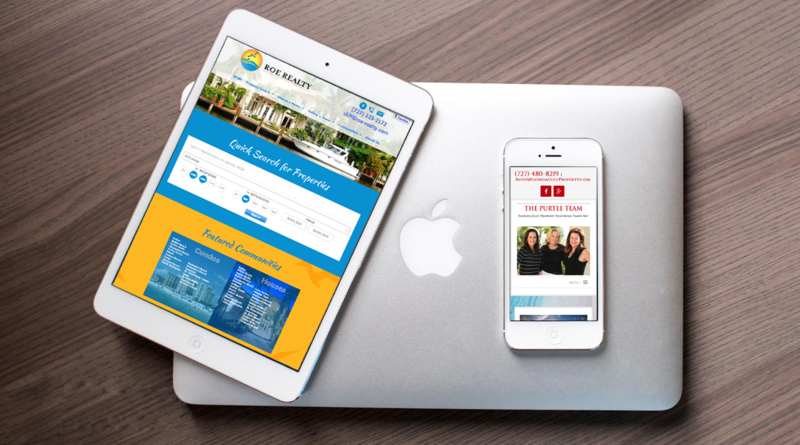 Along with our experience working with area real estate agents and brokers, the web and design staff at PRO have decades of collective experience with web design, marketing, branding/logo design, and content creation for businesses both big and small. It’s easy to overlook the importance of how you tell your story. Our goal is to get you a web presence ASAP, but waiting on client content and decisions have delayed site launches by weeks or months—or worse. 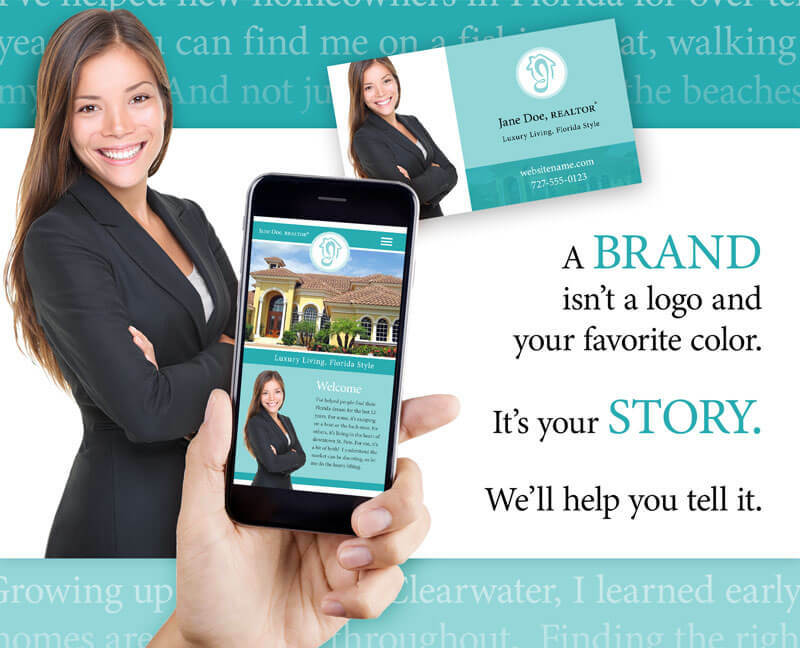 Cohesive, consistent, professional branding is the quickest way to install trust with your visitors. We work with you to create a story and voice for your marketing strategy. Hosting includes: Free SSL. Daily backups. Security and anti-spam measures. Email services are not included, but we'll help guide you if you don't already have your own. Our team will interview you (preferably in person) and stay in contact to create company branding and website content. “Branding” includes a web/print-ready vector-based logo and its variations (if applicable), a custom color scheme, appropriate font selections, and guidance of usage. We also use this term to describe the intangible character of you/your company (the story, tone, and personality). 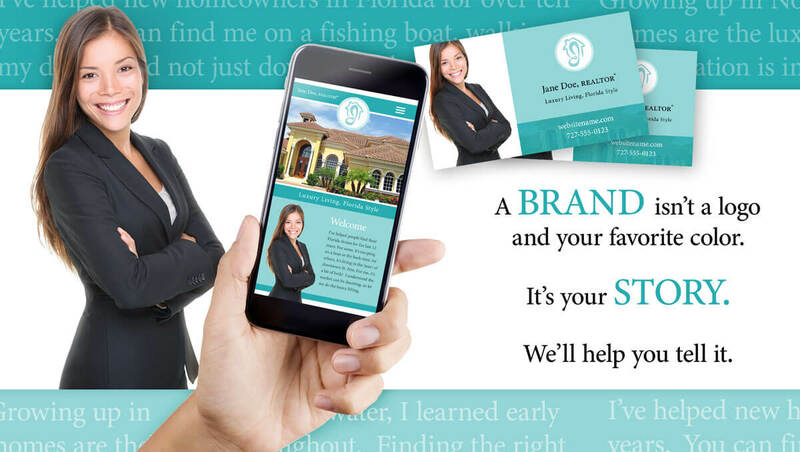 You will own all the resulting content and files will be provided along with a “style guide” sheet, so your future marketing and print materials will have a consistent look. We’ll even throw in a matching business card file you can take to your preferred print vendor to get you started. Based on your needs and interests, we will write copy for your Home Page, Contact Page, up to a couple paragraphs each for your custom IDX Search Pages, a couple paragraphs each for additional top-level menu Pages, as well as a few paragraphs of company and/or personal bio for an “About” page. We’ll recommend what pages your website needs and what areas to spotlight. Additionally, we help determine the point-of-view for titles and page names, and craft slogans as needed. While we’re flexible and willing to “go the extra mile” for our Branding and Content Package clients, a custom price quote may be required for brokerages wishing to have multiple agent bios written, or clients who otherwise need content far beyond a few paragraphs for standard pages. This is an extensive and intimate process built on trust. While we do our best to launch websites in a timely manner, each Branding and Content Package is unique. Estimated timelines will vary and are highly-dependent on the relationship between us and the client. In order for us to fully understand your needs, you may expect a little “homework” from us. Think ahead of time who your target market is, what you want to project about yourself or your business, what sets you apart, and consider what you like and dislike about your competition. We do not offer a custom video production service. While we stress the impact of having video on websites, we can only supply videos from our selection of area-appropriate stock footage, and they are provided as-is and not exclusive. Our image resources, however, are virtually endless! 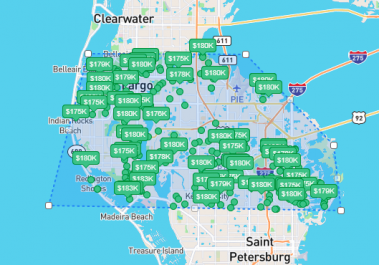 *Pricing reflects rates as of 2/5/2019. Subject to change. Design fees apply for major redesigns or customer delays outside agreed time-frames. Below are just a few of the features that the IDX can provide. 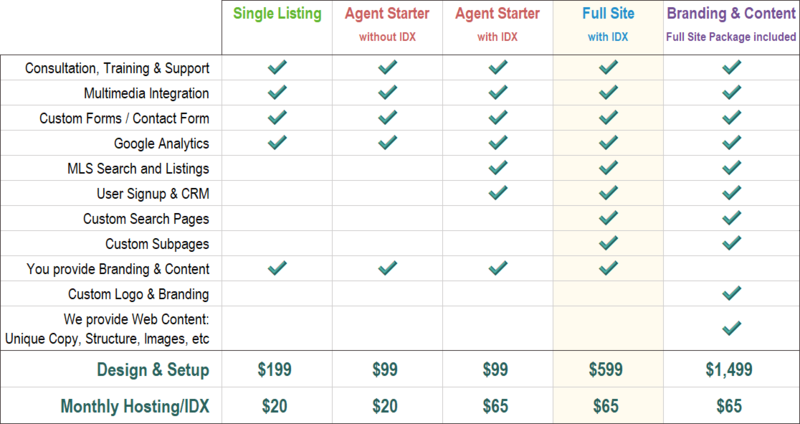 More than just MLS results, the IDX gives both the consumer and the agent a user-friendly set of tools to make the process as friendly and information-rich as possible. 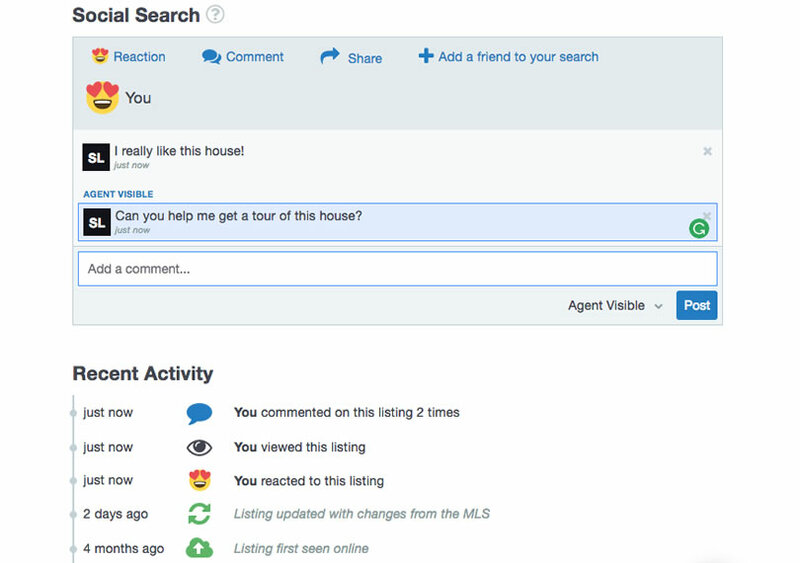 Agents can manage, contact, and route leads. 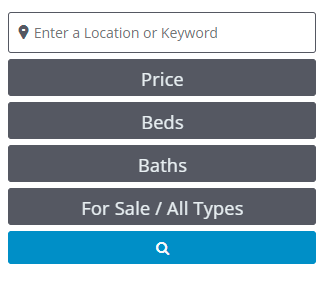 Agents can even create custom subscribed searches for their leads that email results in set intervals. A PROSITE will help you capture more leads by targeting mobile users. 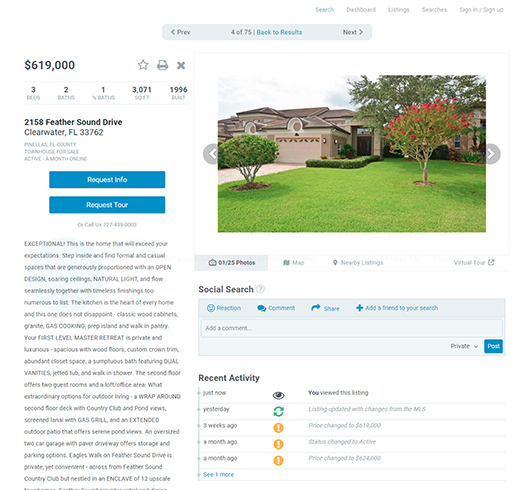 After searching gorgeously detailed property information, complete with driving directions, property photo galleries, neighborhood and school statistics, clients will be able to call or email you with one tap of their smartphone! 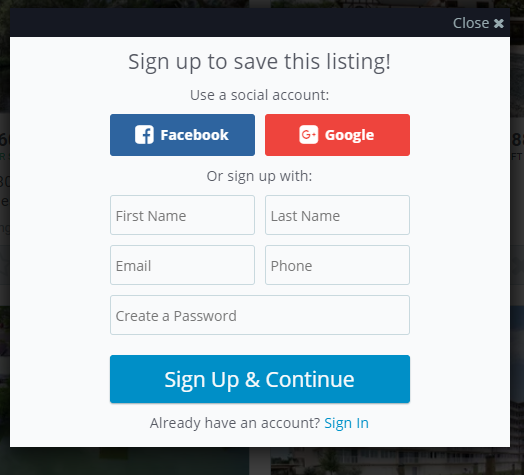 Let PROTECH help you build your online presence while you focus on closing transactions. Don’t let your prospective clients “bounce” away! If you’ve ever gone to a website on your smartphone and been redirected to a stripped down “mobile version” or had the misfortune of trying to navigate a website from your phone and given up after pinching and scrolling from side to side endlessly, you know that’s an easy way to lose a new contact. PROTECH has solved these problems with up-to-date technology. Responsive websites scale to fit any device and follow the ranking rules set by Google. Your website content will resize itself whether the user is in vertical or horizontal viewing mode, on a smartphone, tablet, laptop, or desktop monitor. We make sure your clients can search your properties while on the road! We are here to help you help your customer have the best experience possible. Our PROSITES are branded for your office, with modern design, IDX property searches, integrated blog, and monthly market statistics. Website Security – Each PROSite is installed with a Security Plugin that protects your site from cyberattacks and blocks any unwanted bots. Site Maintenance including plugin and WordPress updating. After confirmation of payment, we will send you our Website Planner Form. THIS IS AN IMPORTANT STEP. The form gives us the most important, and pertinent, information needed to start the process of developing your site. Any delay in filling out and sending us this form delays the timeframe in starting your website, so it is best send us this form as soon as possible. When we receive your Website Planner Form, we will contact you mentioning the design process has started. Within a 1 – 2 week timeframe, we will email you a web development link that shows you the design. This will show the integration of your branding (colors and logo) and other elements from the Planner form. If any changes are needed (of colors, font size, etc. ), we will makes those changes within the limit of 2 or 3 minor revisions. Your website will be developed from the final revision and delivered, pre-launch within a 4 week timeframe. After your site is launched, we provide a 1 hour training session in how to use your new PROSITE website.